International Womens Day: Clara and Rosa Turning in their Graves! International Women’s Day: Something got lost in the translation somewhere! 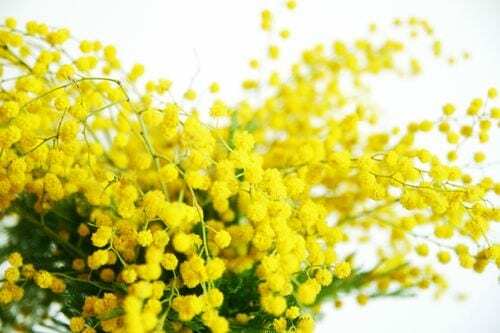 This week was, of course, the 100th anniversary of International Women’s Day – or 8th of March, as it is better known in Russia, one of the most important dates in a calendar chocker block with important holidays. International Women’s Day — or 8th of March as it is more commonly known — was originally conceived as a day dedicated lobbying for equal rights for women, universal suffrage, and the abilities and achievements of women throughout the world. It was first celebrated in Russia in 1913, and, after the revolution of 1917, quickly became a fixture on the calendar for the new Bolshevik government. On the 8th of March, men are supposed to take on all the tasks traditionally assigned to women. They clean the house, make a meal, or possibly look after the children. Today, however, in this more mercantile post-perestroika era, celebrations have strayed a little bit far off the mark. 8th of March has become an obligatory gift giving extravaganza. The gross national product of Holland shoots up a number of points due to all the flowers sold on 8th of March, and restaurants do a brisk business for those International men who can’t quite face the kitchen. This year, Russia held its national beauty pageant and crowned a “Miss Russia,” and this alone would have the socialist pioneers Clara Zetkin and Rosa Luxemburg turning in their graves. In what are politely called penal facilitates, Russian women prisoners also held beauty contests to crown a “Miss Prison Russia.” Russia’s favorite redhead spy, Anna Chapman, who for some reason is still making headlines, launched a very silly website, and Russia’s infamously unpleasant traffic cops declared a one day cease fire on pulling women over for minor traffic offenses. This pulled the GDP of Russia down a few points. Saturday, March 5th was a working day, meaning that Russians worked a six-day week. We had to work on Saturday so that Monday, March 7th could be a day off even though Tuesday, March 8th was the actual holiday. Does that make sense? Vintage Russian public holiday stuff. If the holiday is on a Tuesday, you have to have the Monday off as well so you can get a three-day weekend. Even though you have to work on the previous Saturday. Where that gets us, I don’t know, but I’m not sure anyone comes out ahead. Joe Biden is town this week and he’s talking about Russia’s accession to the WTO but if you ask me (and no one ever, ever does) if they let that warped individual who sits in his windowless room in the Kremlin massaging the calendar keep on with this stuff, Russia doesn’t deserve to join the WTO. On Saturday, I actually came in from London – a flight time of just over three hours. It took me about that amount of time to get from Domodedovo Airport to my flat in Moscow. HRH, my “Horrible Russian Husband” was unable to meet me since he was at work, so Tolya my driver and I sat in a traffic jam that was more than usually insane. Saturday may be a working day, but most of it is given over to kicking off 8th of March in fine style, with lots of champagne, chocolates, and flowers. Legions of delivery trucks leaned on their horns and tried to cut off their competitors through the gridlock. Tolya told me he’d heard on the radio that you could hire an official emergency service ambulance as a taxi service for 6000 rubles and hour, which comes to about 200 USD per hour. “I don’t approve of it,” he said. Neither did I, but we both agreed that it require a leap of the imagination to understand that it was actually happening. My HRH hates to shop for anything – he becomes grumpy and impatient buying a newspaper at a kiosk, or a loaf of bread at the nice French bakery across the street from us. But, each 8th of March, he girds his loins and plunges into the maelstrom of baffled men trying to club together ingredients for a home cooked meal. “Keep it simple,” I advised as we parked the car at a new place I’d heard about, called The Farmer’s Bazaar. I had high hopes of it turning out to be the Whole Foods of Moscow, which of course was delusional of me. It turned out to be a token supermarket on the 5th floor of what used to be a perfectly respectable food market on a central Russian street. Closed for a number of years, it had recently re-opened as a glitzy shopping mall. Because that’s just what Moscow needs – another glitzy shopping mall. And who in their right mind puts a supermarket on the 5th floor of a glitzy shopping mall? Farmer’s Bazaar was definitely not Whole Foods. Far from it. It was like any overpriced Moscow supermarket: you needed to take a second mortgage to afford some of the items. I clocked a small package of white beans, which are admittedly hard to find here, retailing for just over $12. A packet of Earl Grey Tea would run you $20. HRH had that “I knew this would be a nightmare” look on his face as I steered him over to the fish counter. He was mildly mollified by some fresh Fin de Claire oysters, reasonably priced at about 3 bucks a pop, and ordered a few dozen. These were carefully packaged in plastic takeaway containers with a bed of ice, but the problems was that they only fit 3 oysters to the container, so we ended up with ten takeaway containers. I then queered the deal by asking if I could buy the heads and spines of some beautiful fish one of the charmingly nautically clad fishmongers was gutting. This appeared to be the first time anyone behind the fish counter had ever received a request remotely like this, and it was met with a lot of suspicion. Needless to say, I’ll be back to shopping on my own for the next calendar year. This post is part of The Stunt. Hello, There Male and Female Readers! Instead of some links to other posts, today, have a listen to a live radio interview I did with Voice of Russia by clicking here. 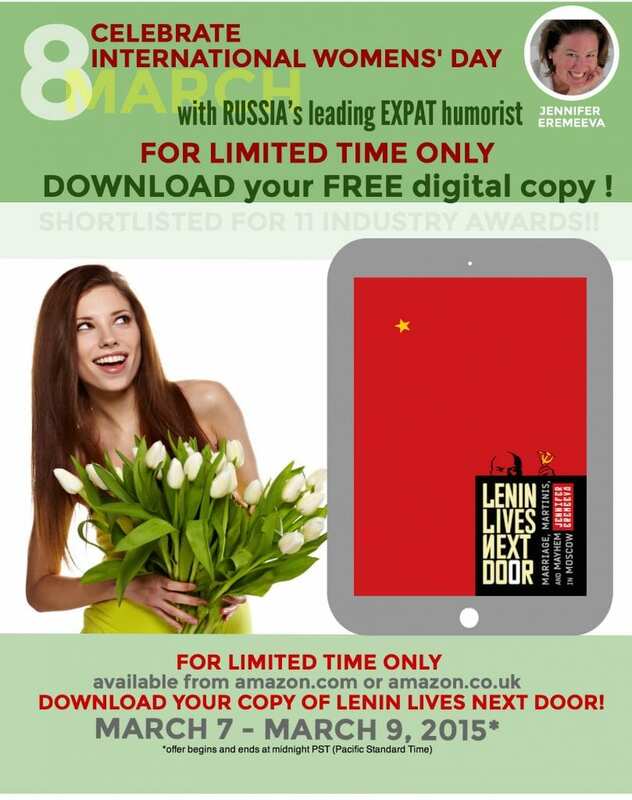 As a special 8th of March treat, I’m offering a free download of my award-winning book, Lenin Lives Next Door on amazon.com and amazon.co,uk. Supplies don’t run out (it’s digital!) but time does! Grab your free copy today!! The problem with the Personal Ambulance thingy is that NO ONE in Moscow would ever pull over for an ambulance. What were you thinking? yes, my heart goes out the poor person in the ambulance stuck in traffic. guess that’s why i drove myself to an emergency appendectomy. It was so interesting to learn more about you during the radio interview. As for Women’s Day in the states, (based on observations of friends and daughters) would probably resemble a childless Mothers’ Day with languid masculine reactions. And if prodded, Whole Foods could provide EVERYTHING to them. $$$$$$…. My “working” Saturday included a series of parties in different parts of the office. The high point was when I realised that the guys had arranged for a chocolate fountain to be installed in the meeting room opposite my office for the day. 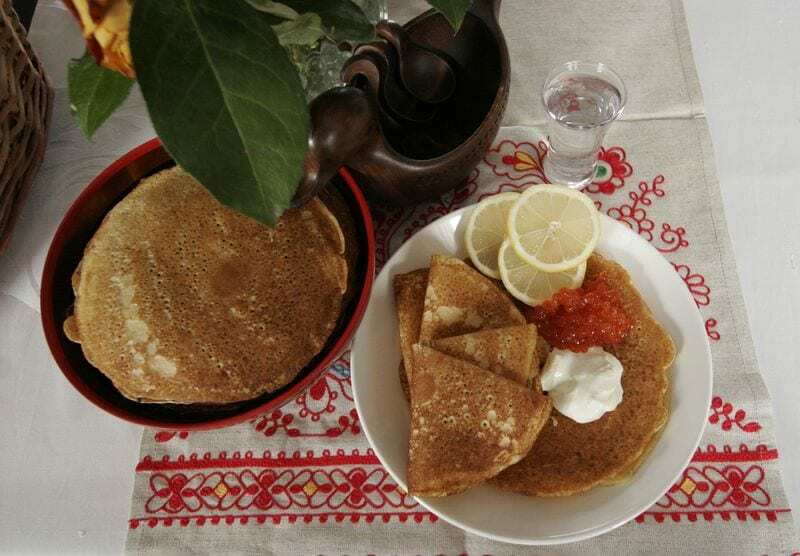 As it was during Maslenitsa pancakes featured as heavily as the more traditional chocolates. Int’l women’s day passed without notice in the US – except in the blogosphere. Don’t discount the ambulance thing, I’ve done it several times in South Asia. It works beautifully and no one attempts to tip the vehicle or smash the windows. . .